Drums!, Drum/Percussion Sample from Tone2. 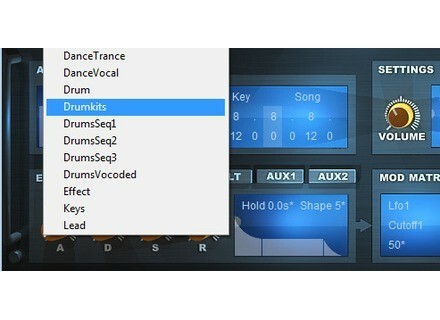 Tone2 Audiosoftware have released Drums!, a new soundset for their ElectraX synth. Drums! 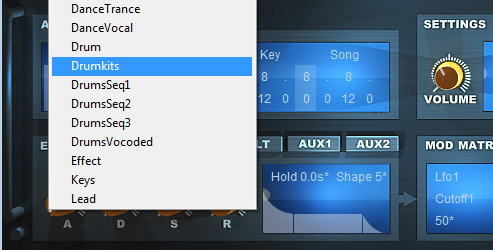 uses ElectraX's multi-layer concept and combines synthesis and sampling to create a percussive library. Tone2 describes it as "Rhythmatic heaven for those looking for mashed up kicks, cone thrashing sub bass, phat snares, vibrant grooves, vocoded sequences and block rockin' beats". This 200 preset drum kit and groove library includes both synthesized and resynthesized material incorporating 50 MB of new sample content, including human drums, electronic beats and a selection of processed drum hits and loops. The complete soundset features a total of 600+ sounds. For more information visit the Tone2 website at www.tone2.com. ToneBytes Vinyl ToneBytes has released Vinyl, a free VST plug-in for Windows that emulates the sounds of old vinyl players. Scuffham S-Gear v2 Scuffham Amps has announced the release of version 2.0 of S-Gear, which features a new rack. Tritone Updates ClassicTone-560 TriTone Digital has updated ClassicTone-560 to version 2.1.